You still have time to get some going — to have in time for a special teacher who has nurtured your child all year. This is the gift I always reach for when I want to make sure the person gets a continuous reminder of my gratitude — perpetually, like the vanilla itself. 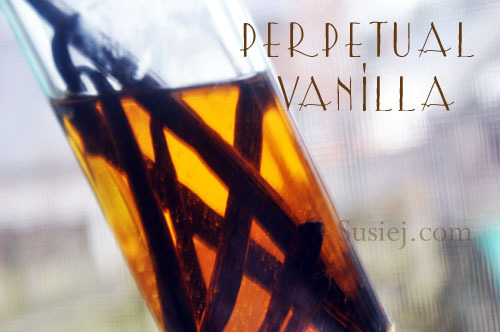 Perpetual vanilla is the gift that lasts forever… like a good friendship. 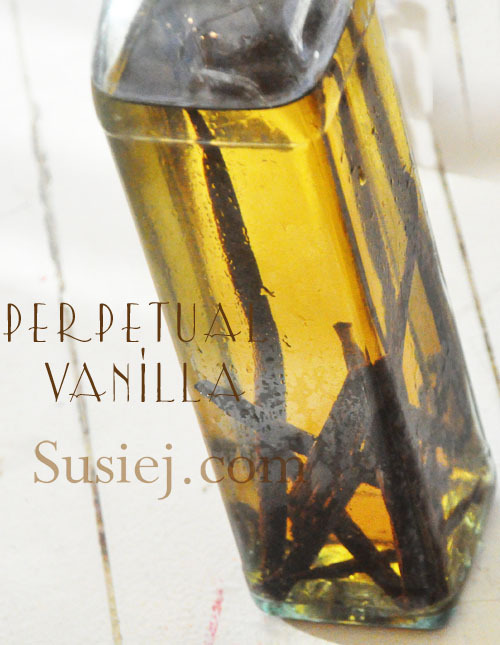 People are surprised to learn how easy it is to make their own vanilla extract. They are, I think, my surprised to learn that it will never run out. The vodka preservers the vanilla, keeping it alive. All you do is top it off with more vodka, or rum, as you use it. 1. Cut open the vanilla beans, but do not open it all the way. 2. 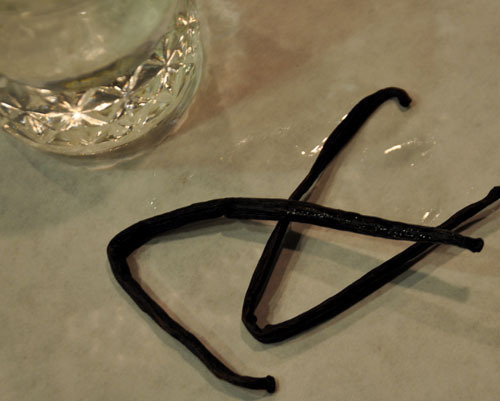 Place vanilla beans in a glass jar or bottle with a tight-fitting lid. 3. Cover completely with the vodka. Give the bottle a good shake every once in a while. Store in a dark, cool place for 2 months or longer. 4. You can now pour into individual little bottles for gifts with a label. If you insert a vanilla bean into each jar, you can continuously add more vodka as you use it up. So, it’s perpetual… never running low. How neat. I’m going to try it. Very cool! I am definitely going to try this. Thanks for the recipe. I have been wanting to try this for a while.